Why am I asked for a budget for my travel? How to determine your budget. We discuss the information travel professionals desire and why to better book your travel. We also give you tips on how this works and how to determine the best travel times. Is it safe for U.S. citizens to travel outside the U.S., these days? Should U.S. citizens still travel outside the U.S. with all that's going on in the government? Are people of color that are U.S. citizens safe? Why you should join us on our Travel Club Trip Feb. 14, 2020. We have raved about Bonaire so much. Listen to find out where this island is located and why you should go. Visit blackwilltravel.com for details and blackwilltravel.com/bonaire for video. Our Travel Club is headed to the island of Bonaire, Feb. 14-17, 2020. Visit Instagram or Facebook @blackwilltravel or our website blackwilltravel.com for more details. In 2021 there will be new visa requirements for some destinations in Europe. Importance of Travel Vaccinations and we need some insight. How do you define luxury travel? Taken a DNA test to learn more about your ancestry and interested in traveling to those locations? Learn more about that here. Scared to travel alone or always wanted to travel solo? Get information on that here. Are Basic Economy airline tickets that bad? We discuss stopovers and hidden city fares. Join our travel club at blackwilltravelclub.com. Best time to travel. Why groups of 10 or more? Season 2 Episode 1. Official episode. Let's talk Virgin Voyages and more. New Bonus episodes called Say What?! Saturday. Topics and information that we feel needs to be discussed right now. Season 2: We are BACK! Let's get started on a new season. Travel Tuesdays are back! Travel Insurance isn't really needed, right? Episode 5 - Briefly discuss if travel insurance is really a necessity. Is this just another way for travel agencies to make money? List and find out? If you have any questions, send them to me at in@blackwilltravel.com. Episode 4 - Interested in taking a short trip to somewhere exotic with a small budget and/or without a passport and not sure how, get some tips. Visit BlackWillTravel.com for assistance. Episode 2: Lead travel explorer for BlackWillTravel.com discusses traveling fears, solo travel and connecting with locals. Black Will Travel - Who? What? Episode 1: Learn about how BlackWillTravel.com got started and why. It may surprise you. 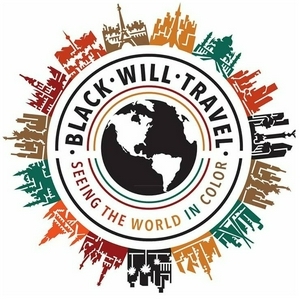 #blackwilltravel A travel company for those interested in Seeing the World in Color.